Follow these tips to improve your app performance! This is a post by iOS Tutorial Team Member Marcelo Fabri, an iOS developer working at Movile. Check out his personal website or find him on Twitter or on Google+. When developing an iOS app, it’s critical that your app has good performance. Your users expect it, and it will hurt your reviews if your app appears unresponsive or slow. However, due to the limitations of iOS devices this can sometimes be quite hard to get working quite right. There’s a lot to keep in mind during development, and it’s easy to forget the performance impact of your decisions. That is exactly why I wrote this article! This article gathers together 25 tips and tricks that you can use to improve the performance of your apps, in the form of a handy checklist. Note: Before optimizing any code, make sure there’s a problem to be solved! Don’t get sucked into the mistake of “pre-optimizing” your code. Use Instruments frequently to profile your code and uncover any areas that need improvement. Matt Galloway wrote a great tutorial about using Instruments to optimize your code. Also, keep in mind that some of the tips offered in this article offered are trade-offs; the suggested improvements will make your code faster or more efficient, but they may require a lot of work to implement, or make your code more complicated, so choose wisely! These are tips that you’ll always want to implement in any app you develop. These are tips you should use when you run into slightly more complicated issues. These are tips you should use only when you’re positive they’ll fix the issue, and you feel comfortable using them. Without further ado, let’s get into the tips! This section is dedicated to basic changes that can improve your app’s performance. But developers of all levels will still benefit from this quick checklist of items that are still sometimes overlooked. ARC was released with iOS 5 and it eliminates the most common kind of memory leaks – the forgetful ones. ARC stands for “Automatic Reference Counting”, and it automatically manages the retain/release cycles in your code, so you don’t have to do it manually. It’s tremendously easy to forget the release call at the end of this code block. ARC does it for you, automatically and under-the-hood. In addition to helping you avoid memory leaks, ARC can also improve your performance, by making sure that objects are deallocated as soon as they are no longer needed. These days, you should always use ARC in your projects! If you still aren’t convinced of the benefits of ARC, check out this article on eight myths about ARC to really convince you why you should be using it! It’s worth noting that ARC doesn’t eliminate all memory leaks. You can still have memory leaks, but they’ll mainly be due to blocks, retain cycles, poorly managed CoreFoundation objects (and C structures in general), or just really poorly written code. There’s a very good blog post that details some of the issues that ARC can’t fix — and how to deal with them. Use a reuseIdentifier Where Appropriate. A common mistake in app development is not setting the correct reuseIdentifier for UITableViewCells, for UICollectionViewCells, or even UITableViewHeaderFooterViews. For maximum performance, a table view’s data source should generally reuse UITableViewCell objects when it assigns cells to rows in tableView:cellForRowAtIndexPath:. A table view maintains a queue or list of UITableViewCell objects that the data source has marked for reuse. What happens if you don’t use a reuseIdentifier? 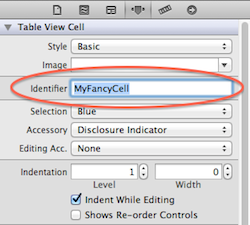 If you don’t, your table view will configure a brand-new cell each time a row is displayed. This is an expensive operation and will definitely affect the scrolling performance of your app. Since the introduction of iOS 6, you’re expected to use reuseIdentifiers for header and footer views, as well as UICollectionView’s cells and supplementary views. This method dequeues an existing cell if one is available, or creates a new one if necessary using the previously registered nib file or class. If no cell is available for reuse, and you did not register a class or nib file, this method returns nil. 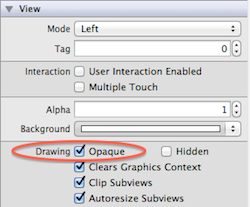 Set Views as Opaque When Possible. If you have opaque views — that is, views that have no transparency defined — you should set their opaque property to YES. Why? This will allow the system to draw your views in an optimal manner. It’s a simple property that can be set in both Interface Builder and code. This property provides a hint to the drawing system as to how it should treat the view. If set to YES, the drawing system treats the view as fully opaque, which allows the drawing system to optimize some drawing operations and improve performance. If set to NO, the drawing system composites the view normally with other content. The default value of this property is YES. On relatively static screens, setting the opaque property won’t be a big deal. However, if your view is embedded in a scroll view, or is part of a complex animation, not setting this property will definitely impact the performance of your app! You can also use the Debug\Color Blended Layers option in the simulator to see visually what views are not set as opaque. Your goal should be to make as many of your views opaque as possible! Storyboards, introduced in iOS 5, are quickly replacing XIBs. However, XIBs are still useful in some cases. If you need to target pre-iOS 5 devices, or you have a custom reusable view, then you can’t really avoid them. If you’re forced into using XIBs, make them as uncomplicated as possible. Try to create one XIB per view controller, and if possible, break out a view controller’s view hierarchy into separate XIBs. Note that when you load a XIB into memory, all of its contents are loaded into memory, including any images. If you have a view you’re not using immediately, then you’re wasting precious memory. It’s worth noting that this won’t happen with storyboards, since a storyboard will only instantiate a view controller when it’s needed. When you load a nib file that contains references to image or sound resources, the nib-loading code reads the actual image or sound file into memory and and caches it. In OS X, image and sound resources are stored in named caches so that you can access them later if needed. In iOS, only image resources are stored in named caches. To access images, you use the imageNamed: method of NSImage or UIImage, depending on your platform. Apparently, this also happens when using storyboards; however, I wasn’t able to find anything supporting this claim. If you know anything about this behavior, please drop me a line! Want to learn more about storyboards? 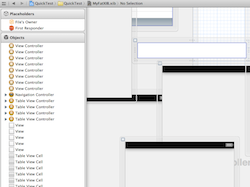 Check out Matthijs Hollemans’ Beginning Storyboards in iOS 5 Part 1 and Part 2. Don’t Block the Main Thread. You should never do any heavy lifting on the main thread. This is because UIKit does all of its own work on the main thread, such as drawing, managing touches, and responding to input. Most cases of blocking the main thread occur when your app is performing an I/O operation which involves any task that needs to read or write from an external source, such as the disk or the network. or by using a third party framework such as AFNetworking. If you’re doing any other kind of expensive operation (such as performing a time-intensive computation or reading/writing to the disk) then use Grand Central Dispatch, or NSOperations and NSOperationQueues. See how there’s a nested dispatch_async inside the first one? That’s because any UIKit related code needs to be executed on the main thread. Curious about the finer details of NSOperation or GCD? Take a look at Ray Wenderlich’s Multithreading and Grand Central Dispatch on iOS for Beginners tutorial, as well as Soheil Azarpour’s How To Use NSOperations and NSOperationQueues tutorial. Size Images to Image Views. If you’re displaying an image from the app’s bundle in a UIImageView, make sure that the image and the UIImageView are same size. 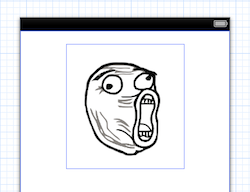 Scaling images on the fly can be expensive, especially if your UIImageView is embedded in a UIScrollView. If the image is downloaded from a remote service, sometimes you don’t have control over the size, or you might not be able to scale it on the server prior to downloading. In cases like these, you can scale the image manually once you’ve finish downloading it — preferably on a background thread! — and then use the resized image in your UIImageView. Learning to use the most appropriate class or object for the task at hand is fundamental to writing efficient code. This is especially true when dealing with collections. Happily, there’s a document named Collections Programming Topics on Apple’s Developer Library that explains in detail the differences between the available classes, as well as which situations suit each class. It’s a must read document for anyone looking to work with collections. Arrays: Ordered list of values. Quick lookup by index, slow to lookup by value, slow to insert/delete. Dictionaries: Store key/value pairs. Quick lookups by key. Sets: Unordered list of values. Quick lookup by value, quick to insert/delete. A significant and growing number of apps rely on external data from remote servers or other external APIs. At some point you’ll be developing an app that downloads data in XML, JSON, HTML or some other text format. The problem is that the network condition cannot be relied upon when it comes to mobile devices. A user can be on an EDGE network one minute, and the a 3G network the next. Whatever the scenario, you don’t want to keep your user waiting! One option to reduce the file size and speed up the download of network-based resources is by enabling GZIP compression on both your server and on your client. This is especially useful for text-based data, which has a high potential ratio for compression. The good news is that iOS already supports GZIP compression by default if you’re using NSURLConnection, or a framework built on top of it such as AFNetworking. Even more good news is that some cloud providers, such as Google App Engine already send compressed responses. There’s a great article about GZIP compression which explains how to enable it on your Apache or IIS server. Okay, so you’re pretty confident that you’ve hit all of the low-hanging fruit when it comes to optimizing your code. But sometimes there are solutions that aren’t quite as obvious, and depend heavily on how you structure and code your app. However, in the right context, they can be invaluable! More views means more drawing; which ultimately means more CPU and memory overhead. This is especially true if your app embeds many views inside of a UIScrollView. The trick to managing this is to mimic the behavior of UITableView and UICollectionView: don’t create all subviews at once. Instead, create your views as you need them, adding them to a reuse queue when you’re finished with them. This way, you have only to configure your views when a scroll is performed, avoiding the allocation cost — which can be expensive. Create the view when the screen is first loaded and hide it; then when you need it, show it. Do nothing until you need to show the view. Then, create the view and show it, all at once. Using the first method, you consume more memory because you immediately create the view which holds on to that memory until it’s released. However, when the user does taps the button, your app will appear more responsive as it only needs to change the view’s visibility. Taking the second approach will have the opposite effect; by creating the view only when it’s required, you consume less memory; however, the app won’t appear as responsive when the button is tapped. A great rule of thumb when developing your app is to “cache what matters” — that is, things that are unlikely to change, but are accessed frequently. What can you cache? Some candidates for caching are remote server responses, images, or even calculated values, such as UITableView row heights. NSURLConnection already caches resources on disk or in memory according to the HTTP headers it processes. You can even create a NSURLRequest manually and make it load only cached values. If want to know more about HTTP caching, NSURLCache, NSURLConnection and friends, be sure to take a look at the NSURLCache entry on NSHipster. If you need to cache other things that don’t involve HTTP requests, then NSCache is your go-to guy. NSCache looks and behaves like an NSDictionary, but it automatically removes its contents when the system needs to reclaim memory. Mattt Thompson wrote this amazing post on NSHipster about it. Interested in learning more about HTTP caching? Google has a best-practices document on HTTP caching that is a recommended read. There are several ways to make great-looking buttons in iOS. You can use full sized images, resizable images, or you could go the distance and draw it manually using CALayer, CoreGraphics or even OpenGL. Of course, there’s different levels of complexity with each of these approaches, as well as differences in their performance. There’s an awesome post about iOS graphics performance here which is well worth a read. Andy Matuschak, who is a member of the UIKit team over at Apple, commented on the post, and there’s some great insight into the different approaches and their performance trade-offs. The short story is that using pre-rendered images is faster, because iOS doesn’t have to create an image and draw shapes on it to finally draw into than screen (the image is already created!). The problem is that you need to put all those images in your app’s bundle, increasing its size. That’s why using resizable images is so great: you save space by removing “wasted” image space that iOS can repeat for you. You also don’t need to generate different images for different elements (e.g. buttons). However, by using images you lose the ability to tweak your images by code, needing to regenerate them every and putting them into the app again and again. That can be a slow process. Another point is that if you have an animation or just a lot of images with slightly changes (they can have multiple overlay color, for example), you’ll have to embed a lot of images, growing the app’s bundle size. To summarize, you need to think what’s most important to you: drawing performance or app’s size. Generally both are important, so you’ll use both approaches in the same project! If your app receives this warning, it must free up as much memory as possible. The best way to do this is to remove strong references to caches, image objects, and other data objects that can be recreated later. Implement the applicationDidReceiveMemoryWarning: method of your app delegate. Override didReceiveMemoryWarning in your custom UIViewController subclass. Upon receiving any of these warnings, your handler method should respond by immediately freeing up any unnecessary memory. For example, the default behavior of UIViewController is to purge its view if that view is not currently visible; subclasses can supplement the default behavior of their parent class by purging additional data structures. An app that maintains a cache of images might respond by releasing any images that are not currently on-screen. It’s very important to release all memory possible once you receive a memory warning. Otherwise, you run the risk of having your app killed by the system. However, be careful when you start culling objects to free up memory, as you’ll need to make sure they can be recreated later. Be sure to use the Simulate memory warning feature on the iOS simulator to test this condition while you are developing your app! Some objects are very slow to initialize — NSDateFormatter and NSCalendar are two examples. However, you can’t always avoid using them, such as when parsing dates from a JSON/XML response. To avoid performance bottlenecks when working with these objects, try to reuse these objects if at all possible. You can do this by either adding a property to your class, or by creating a static variable. As our reader said, “this will ensure it’s initialized only once, and if a second thread calls the method while the block is running, it will pause until the block has completed”. Also remember that setting a NSDateFormatter’s date format is almost as slow as creating a new one! Therefore, if you frequently need to deal with multiple date formats in your app, your code may benefit from initially creating, and reusing, multiple NSDateFormatter objects. So you’re a game developer? Then sprite sheets are one of your best friends. Sprite sheets make drawing faster and can even consume less memory than standard screen drawing methods. The second tutorial covers pixel formats in detail, which can have a measurable impact on a game’s performance. If you’re not yet familar with sprite sheets, then a great introduction can be found in SpriteSheets – The Movie, Part 1 and Part 2. 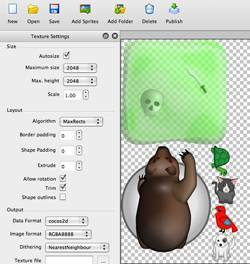 The author of these videos is Andreas Löw, the creator of Texture Packer, one of the most popular tools for creating sprite sheets. Besides using sprite sheets, several tips already covered here can be applied to games as well. For example, if your game has many sprites, such as enemies or projectiles in your standard shoot-em-up, then you can reuse sprites instead of recreating them every time. Many apps make calls for data from remote servers to get information the app requires to function. This data usually comes across in JSON or XML format. It’s important to try and use the same data structure at both ends when requesting and receiving the data. Why? Manipulating data in memory to fit your data structures can be expensive. For example, if you need to display the data in a table view, it would be best to request and receive the data in an array format to avoid any intermediate manipulation of the data to make it fit the data structure that you’re using in your app. Similarly, if your application depends on accessing specific values by their keys, then you’ll probably want to request and receive a key/value pair dictionary. By getting the data in the right format the first time, you’ll avoid a lot of re-processing in your app to make the data fit your chosen structure. Choose the right data format. There are multiple ways you can transfer data to your app from a web service, but the most common two are JSON and XML. You want to make sure you choose the right one for your app. JSON is faster to parse, and is generally smaller than XML, which means less data to transfer. 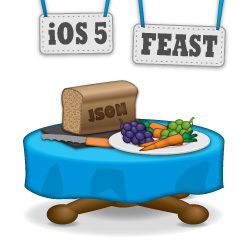 And since iOS 5, there’s built-in JSON deserialization so it’s easy to use as well. However, one advantage XML has is that if you use the SAX parsing method, you can work with XML data as you read it off the wire, instead of having to wait for the entire data to arrive before you parse it like JSON. This can give you increased performance and reduced memory consumption when you are dealing with very large sets of data. You can set your view’s background color to a color created with UIColor’s colorWithPatternImage. You can add a UIImageView subview to the view. If you have a full size background image, then you should definitely use a UIImageView because UIColor’s colorWithPatternImage was made to create small pattern images that will be repeated, and not large images size. Using UIImageView will save a lot of memory in this case. However, if you plan to have a patterned image background, which uses smaller images which will be repeated or tiled to fill the background, you should go with UIColor’s colorWithPatternImage instead, as it’s faster to draw and won’t use a lot of memory in this case. UIWebView is very useful. It’s a very easy to display web content, or even to create a visual aspect of your app that would be difficult with standard UIKit controls. However, you may notice that the UIWebView component you can use in your apps is not as fast as the one which powers Apple’s Safari app. This is down to the restricted use of Webkit’s Nitro Engine, which features JIT compilation. And finally — always be aware of the images that you are using, and keep images right-sized for your purposes. As mentioned earlier in this tutorial, make use of sprite sheets wherever possible to conserve memory and improve speed. For more information, be sure to take a look at WWDC 2012 session #601 – Optimizing Web Content in UIWebViews and Websites on iOS. So you need to add a shadow to a view, or to a layer. How should you handle this? The bad news is that there’s a problem with this approach. Core Animation has to do an offscreen pass to first determine the exact shape of your view before it can render the drop shadow, which is a fairly expensive operation. The good news is that there’s an alternative that is much easier for the system to render: setting the shadow path! By setting the shadow path, iOS won’t need to recalculate how it should draw the shadow all the time. Instead it’s going to use a pre-calculated path that you’re informing. The bad news is that depending on your view format, it may be harder to calculate the path by your own. Another problem is that you need to update the shadow path every time your view’s frame changes. If you want to know more about this trick, Mark Pospesel wrote a great post about shadowPath. Table views need to scroll quickly — when they don’t, users really notice the lag. Reuse cells by setting the correct reuseIdentifier. Make as many views opaque as possible, including the cell itself. 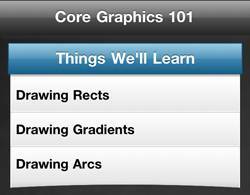 Avoid gradients, image scaling, and offscreen drawing. Cache the height of any rows if they aren’t always the same. If the cell shows content that comes from the web, be sure to make those calls asynchronously and cache the responses. Use shadowPath to set up shadows. Reduce the number of subviews. Do as little work as possible in cellForRowAtIndexPath:. If you need to do some work, do it only once and cache the results. 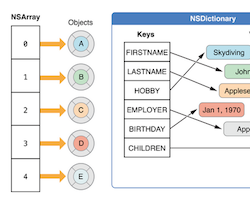 Use the appropriate data structure to hold the information you need. Different structures have different costs for different operations. Use rowHeight, sectionFooterHeight and sectionHeaderHeight to set constant heights instead of asking the delegate. Choose Correct Data Storage Option. What are your options when it comes to storing and reading large data sets? What’s the issue with NSUserDefaults? Although NSUserDefaults is nice and easy, it’s really only good if you have a very small amount of data to save (like what level you’re on, or whether sound is turned on and off). Once you start getting large amounts of data, other options are better. Saving to a structured file can be problematic as well. Generally, you need to load the entire file into memory before you can parse it, which is an expensive operation. You could use SAX to process a XML file, but that’s a complex solution. 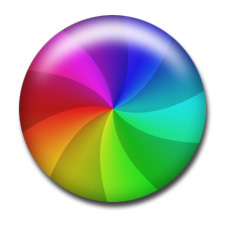 As well, you’d end up having all objects loaded in memory — whether you want them there or not. Okay, then, what about NSCoding? Unfortunately, it also reads and writes to a file, so it experiences the same problems as above. Your best bet in this situation is to use SQLite or Core Data. By using these technologies, you can perform specific queries to only load the objects you need and avoid a brute-force searching approach to retrieve the data. In terms of performance, SQLite and Core Data are very similar. The big difference between SQLite and Core Data is really about the general usage of each. Core Data represents an object graph model, while SQLite is just a regular DBMS. Usually Apple recommends that you go with Core Data, but if you have a particular reason you want to avoid it, you can go lower level to SQLite. If you choose to use SQLite in your app, a handy library to use is FMDB which allows you to work with a SQLite database without having to delve into the SQLite C API. Looking for some elite ways to become a total code ninja? These advanced performance tips can be used when appropriate to make your apps run as efficiently as possible! Launching your app quickly is very important, especially when the user launches for the first time. First impressions mean a lot for an app! The biggest thing that you can do to ensure your app starts as quickly as possible is to perform as many asynchronous tasks as possible, such as network requests, database access, or parsing data. 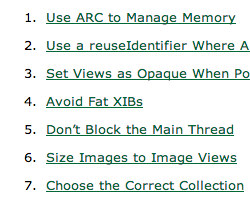 As well, try to avoid fat XIBs, since they’re loaded on the main thread. But recall that storyboards don’t have this problem — so use them if you can! Note: The watchdog doesn’t run while debugging with Xcode, so be sure to test your app with your device disconnected from Xcode while testing for launch performance. NSAutoreleasePool is responsible for releasing the autoreleased objects within a block. Usually, it’s called automatically by UIKit. But there are some scenarios where may you need to create NSAutoreleasePools manually. For example, if you create a lot of temporary objects in your code, you’ll note that memory usage increases until these objects are released. The problem is that this memory is only released after UIKit drains its autorelease pool, which means this memory is held much longer than necessary. This releases all the autorelease objects at the end of each iteration. You can read more about NSAutoreleasePool in Apple’s official documentation. There are two common ways to load a UIImage from an app bundle. The first, and more common way to do it is using imageNamed. The second, and less common way, is with imageWithContentsOfFile. Why are there two methods which effectively achieve the same thing? Alternately, imageWithContentsOfFile simply loads the image with no caching. If you’re loading a large image that will be used only once, there’s no need to cache the image. In this case imageWithContentsOfFile will fit the bill nicely – this way, the OS doesn’t waste memory caching the image. However, imageNamed is a much better choice for images that you’re going to be reusing in your app. This way, the OS saves time having to constantly load the image from disk. If you have a lot of dates that you need to parse with NSDateFormatter, you need to tread carefully. As mentioned previously, it’s always a good idea to reuse NSDateFormatters whenever possible. However, if you need more speed, you can parse dates directly using C instead of NSDateFormatter. Sam Soffes wrote a blog post about this topic which presents some code to parse ISO-8601 date strings. However, you can easily tweak his code examples to fit your particular needs. Well, that sounds great — but would you believe there’s an even better way? If you can control the format of the dates you are dealing with, choose Unix timestamps if at all possible. Unix timestamps are simply integers which represent how many seconds have passed since the “epoch”, which is simply the common reference date of 00:00:00 UTC on 1 January 1970. This is even faster than the C function! Based on “Your iOS App Performance Hitlist” video there’s a post written by Ole Begemann, that is a textual summary about the original presentation by Michael Jurewitz. Apple has also provided a very useful resource called Performance Tuning, which provides a lot of great additional tips and tricks about making your apps perform well on iOS. I hope you found this collection of tips helpful. If you know of a good tip that isn’t mention here, or have any comments or questions, please join the forum discussion below!